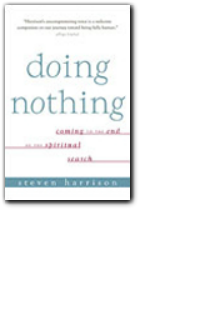 The Living Nonduality Bookshelf: A selection of books, authors and subjects referenced in Living Nonduality. Talks is the prime source of Ramana's dialogue. The message of nondual actuality is not even dependent upon the word, as Ramana’s own awakening demonstrated (and as did Buddha’s). Albeit, this truth can be communicated with the aid of words, for those who are ready for it. The ones who are ready for it, have a single eye, and they prize what they see. 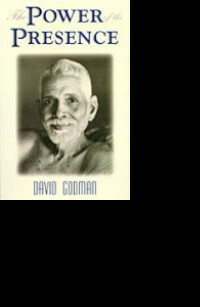 David Godman's The Power of the Presence (3 Volumes); accounts about Ramana from a number of close devotees, over many years. Compiled by David Godman. Question and answers with Ramana and various seekers, compiled into categories by subject. Ramana is deservedly the fountainhead of nondual teachings in our time. From the standpoint of Self-realization, all that one needs to know can be found in a distilled form in such transcriptions as Be as You Are: The Teachings of Sri Ramana Maharshi (edited topically by David Godman, who lived in Ramana’s ashram for years and edited its magazine, Mountain Path). 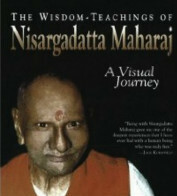 The essential collection of sayings by Nisargadatta. The talks in this slim volume were given in Ojai, California where Krishnamurti lived and are a good introduction to the rejection of self-improvement. 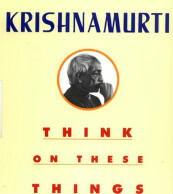 Krishnamurti is saying that an image is a representation—not a presentation, but a re-presentation—of reality.We have, for example, our actions, our behavior—reality, factual; then we have our subjective view, our opinionated critique of our behavior (couched in the past tense: e.g., “I shouldn’t have said what I said; it made me look stupid”).In other words, there is our self as we are; and then there is our self as we imagine that we ought to be.It is this self-image which separates us from reality, and creates conflict. Talks to young students. Good introduction to Krishnamurti. 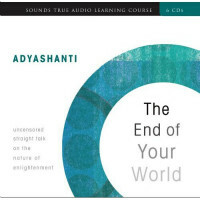 The End of Your World: Uncensored Straight Talk on the Nature of Enlightenment. Available as CD recording and a book. Adyashanti had (for many years) practical experience with formal meditation.Like many others, he gave it up.Now, instead, he suggests that one “get comfortable and simply allow everything to be as it is”: contemplate whatever arises in consciousness, and allow everything to be as it is.No agenda. 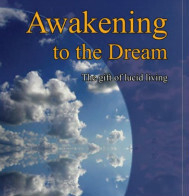 Not mentioned in Living Nonduality, but a book selected by Robert for inclusion here. Like Perfect Brilliant Stillness, a book selected by Robert for inclusion here as an example of recent books worth a read. Physicist David Bohm, as a consequence of his quantum research, began to sense a nonlocal reality at the base of our physical universe. A development in physics had made it clear that an observer (experimenter) cannot be considered to be objectively isolated from the observed (experiment): in other words, an experiment is not unaffected by the experimenter. Indeed, physics had gone so far as to conclude, as a result of laboratory experiments, that the outcome of an experiment can depend upon the intent of the physicist's investigation. If the cause (physicist's intent) cannot be conclusively separated from the effect (experimental outcome), what are the broader implications for assumptions based on “locality”? In 1959, David Bohm read his first book authored by the sage Krishnamurti. This initiated a series of dialogues between him and Krishnamurti (such as that published as The Ending of Time). He comments: “Maybe our descendants…will arrange their lives very differently from our own. “…without expectation, remorse, fear…their conception of the world might be incomprehensible to us." This book as well as Beyond Belief by Elaine Pagels provide good background for Robert's upcoming title, The Gospel of Thomas: The Enlightenment Teachings of Jesus . If you are going to peruse the New Testament; you need to be aware of the unreliability of what is reported there. 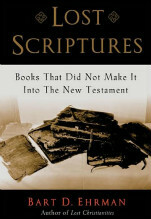 Read Misquoting Jesus by Bart Ehrman, and Beyond Belief by Elaine Pagels—at least.